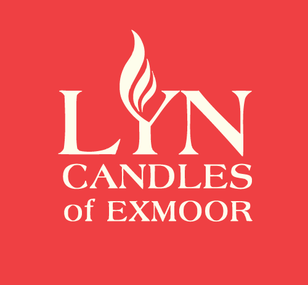 Lynton, the town in which homes Lyn Candles, is situated on the dramatic and rugged Heritage Coast of Exmoor National Park in North Devon. This area is noted for its breath taking natural beauty and unspoilt landscape. Considered to be one of Devon and the South West’s prettiest picture postcard resorts, the twin villages of Lynton & Lynmouth are connected by the world famous water powered funicular cliff railway. This line carries passengers from Lynton at the top of the gorge overlooking the sea, down to the harbour village of Lynmouth below. The cliff railway was a gift to the village from George Newnes the famous publisher who also built the beautiful Victorian to Edwardian style Town Hall on Lee Road. Lynton & Lynmouth were “discovered” in the first decade of the 19th century when the Napoleonic Wars closed the Continent to travellers. With overseas travel deemed too dangerous, tourists turned to the British countryside and found in the Lyn Valley an unspoilt landscape. 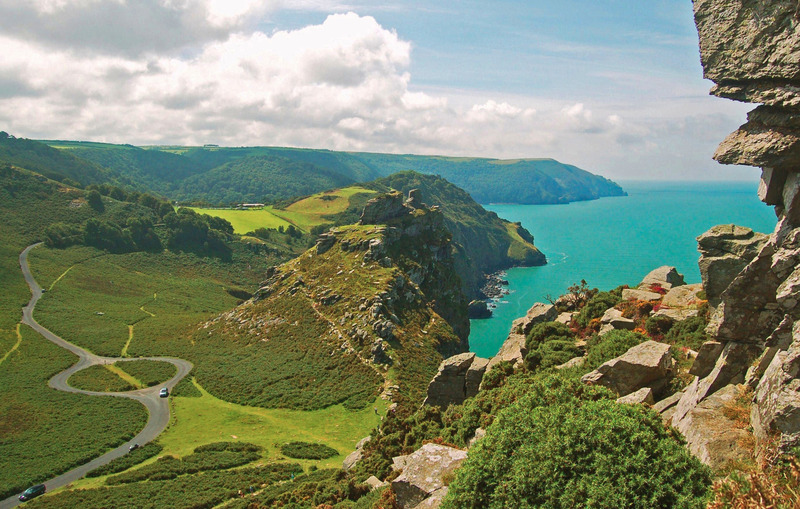 Considered to be one of Devon and the South West’s prettiest picture postcard resorts, the twin villages of Lynton & Lynmouth are connected by the world famous water powered funicular cliff railway. This line carries passengers from Lynton at the top of the gorge overlooking the sea, down to the harbour village of Lynmouth below. The cliff railway was a gift to the village from George Newnes the famous publisher who also built the beautiful Victorian to Edwardian style Town Hall on Lee Road. Lynton & Lynmouth were “discovered” in the first decade of the 19th century when the Napoleonic Wars closed the Continent to travellers. With overseas travel deemed too dangerous, tourists turned to the British countryside and found in the Lyn Valley an unspoilt landscape. However the village of Lynton really made a name for itself with the publication of Lorna Doone in 1869. Blackmore’s melodramatic, romantic classic was a popular success which romanticized the outlaw clans who lived in Exmoor during the 17th century. 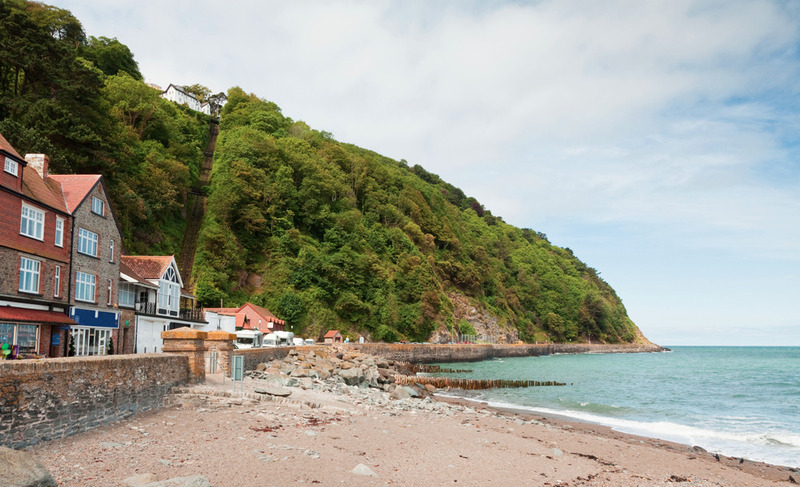 The areas spectacular beauty also inspired famous literary figures such as Wordsworth, Coleridge Blackmore and Shelley, and years later Lynmouth was the scene of a devastating flood. Overnight over 100 buildings and 28 bridges were destroyed, 35 people died, with a further 420 made homeless. Lynton & Lynmouth are situated on the north coast of Devon in Exmoor National Park on the A39 between Minehead and Barnstaple.